There’s so much work that goes into publishing In geveb, from managing the publications calendar to making sure the punctuation on a blog post is correct, and everything in between. 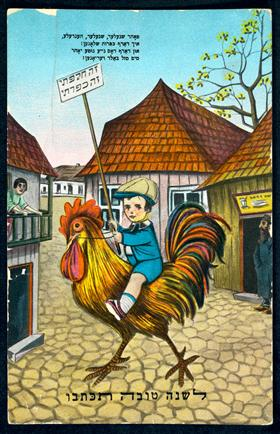 Our editorial team engages in a collaborative effort to stem the tide of emails, avoid computer glitches, and of course bring you thought provoking, well-written writing at the forefront of the dynamic, interdisciplinary, global field of Yiddish Studies. This work has long been part of In geveb’s vision not only to sustain and grow scholarship in our field but also to create editorial positions that are valuable professional development and learning opportunities for emerging scholars. This winter we are excited to have our first undergraduate intern, Jonah Lubin. He’s a jack-of-all-trades who will be engaged in many tasks from working on technical aspects of publishing to contributing to our monthly newsletter to typesetting our Yiddish texts. We’re very proud to be offering this hands-on opportunity for Jonah to gain experience in digital publishing and Yiddish Studies. We look forward to all that our new team member will do to strengthen our publication, and to all that we will learn from and with him through this mentoring experience. Jonah’s position is supported by the Center for Career Advancement at the University of Chicago and the Joyce Z. and Jacob Greenberg Center for Jewish Studies at the University of Chicago. I am a second year undergraduate at the University of Chicago, originally from New Jersey. I still haven’t settled on a major, but if backed in a corner I’d probably say Comparative Literature. I started learning Yiddish at the end of high school after I attended the Great Jewish Books Summer Program at the Yiddish Book Center. As I was leaving, I hurried to gather some books to bring home. With the help of the staff, I settled on Weinreich’s dictionary, Nachum Stutchkoff’s Der oytser fun der yidisher shprakh, Dovid Hofstein’s Ikh gloyb, Peretz Markish’s Milkhome, and, at random, Chayim Gutman (aka Der Lebediker)’s Azoy lakh ikh. With these books, a high school knowledge of German, and a PDF of Dovid Katz’s Grammar of the Yiddish Language that I found on the “Yiddish grammar” Wikipedia page, I set myself to learning Yiddish. 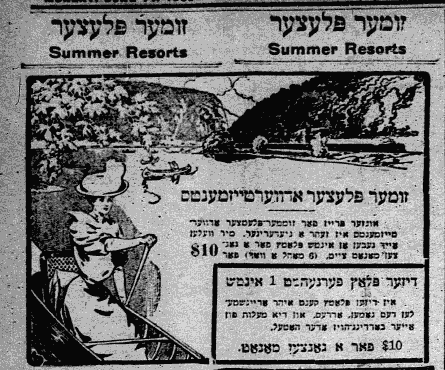 At the end of last year I began work for the Forverts as a Yiddish Fellow, trawling through the archives, finding interesting articles, literature, and advertisements, and doing little write-ups on them. More recently I have begun work on a bibliography and portal of Bashevis’s work published in the paper. Outside of Yiddish literature, I’m also interested in digital media. I have two pieces of work that should be coming out soon. One is a computational approach to Instagram semiotics (forthcoming on arXiv), the other is a Jewish reading of the Ezra Koenig/Jaden Smith quasi-anime Neo Yokio (forthcoming in Tablet). I am very, very excited to have this opportunity to participate in contemporary Yiddish scholarship. So much of my time with Yiddish has been spent alone with books or my laptop, so to be able to work with, talk to, and learn from other people who love the field — really I’m just pleased as punch. Lubin, Jonah. 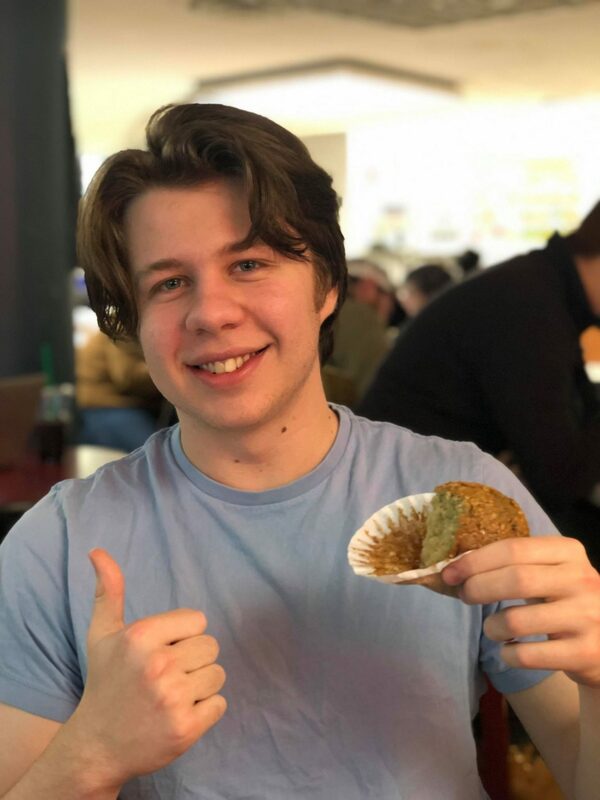 “Introducing Jonah Lubin, Editorial Intern.” In geveb, January 2019: https://ingeveb.org/blog/introducing-jonah-lubin-editorial-intern. Lubin, Jonah. “Introducing Jonah Lubin, Editorial Intern.” In geveb (January 2019): Accessed Apr 21, 2019. Looking to improve your Yiddish this summer? There are options all over the world, from traditional classroom-based programs to music festivals, and everything in between—and we’ve done the research so you don’t have to.